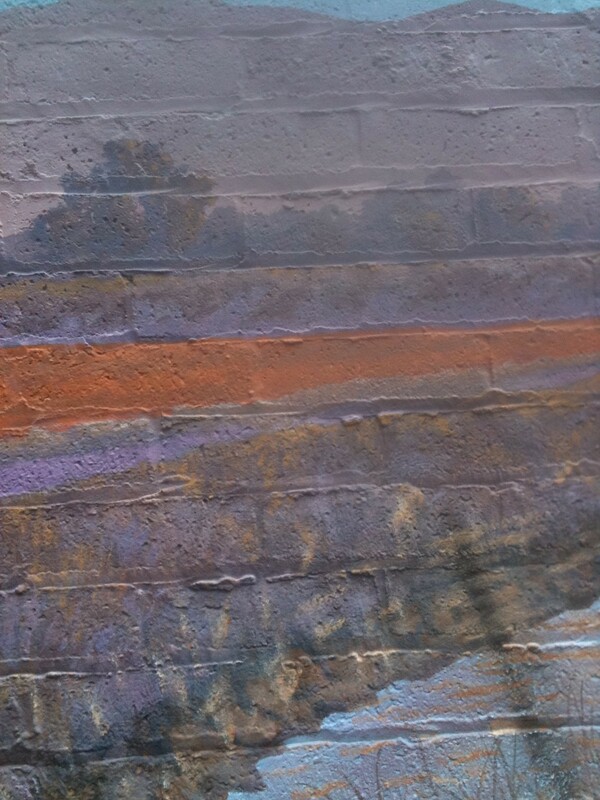 “I seldom paint the land. I always focus on the water. It’s all about clouds and reflections on the water” (3). 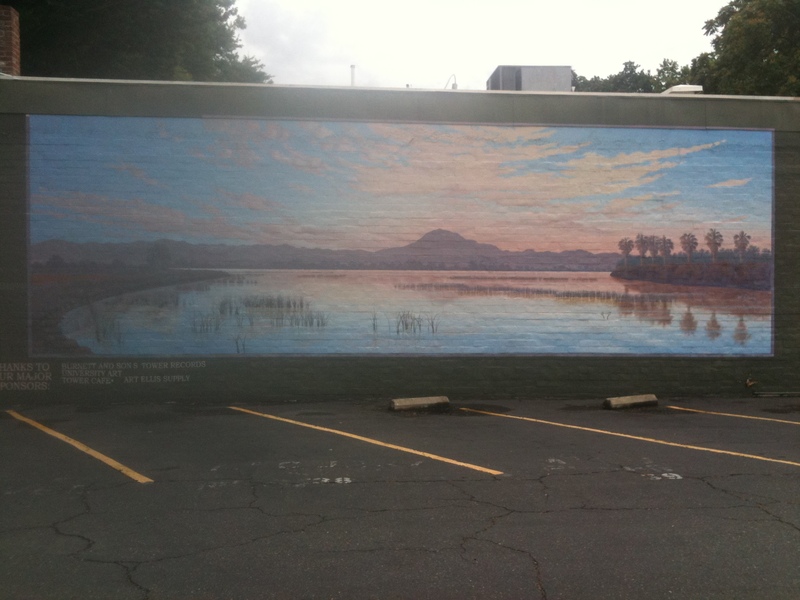 Like this mural, Stanley’s landscapes were usually streched horizontally to convey the long Valley and winding Delta waterways (4). 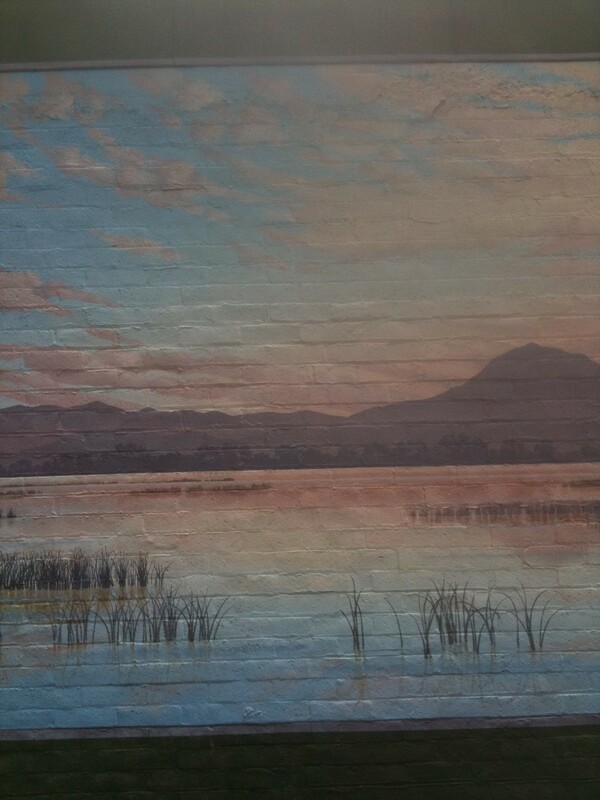 Sarah Rohrs calls his work a “sublime marriage of water and sky.” (5). At just 19 and with no formal training, Stanley, a native of the Sacramento delta, made a decision to pursue life as an artist. 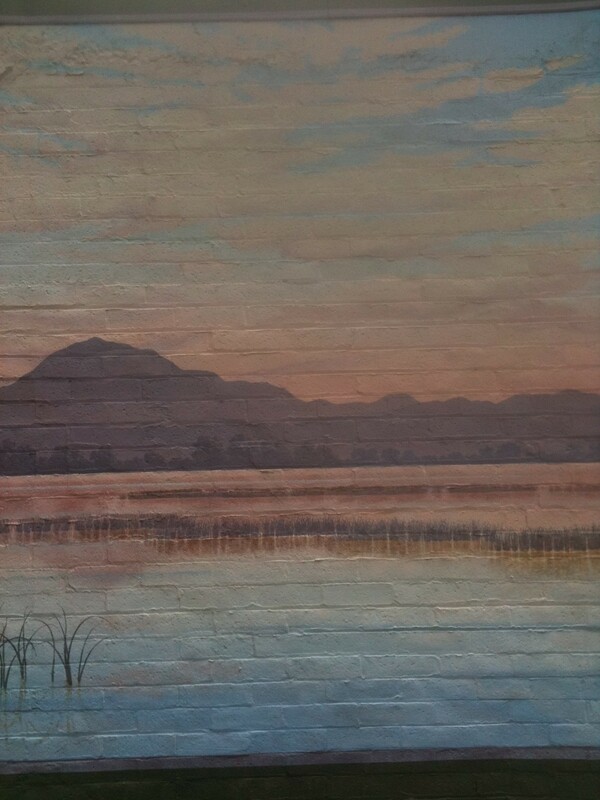 In 1988, he opened the Levee Gallery in Ryde, which is on the Sacramento River about 3 miles south of Walnut Grove. Stanely’s body of work includes more than 400 original images of the Delta (6). 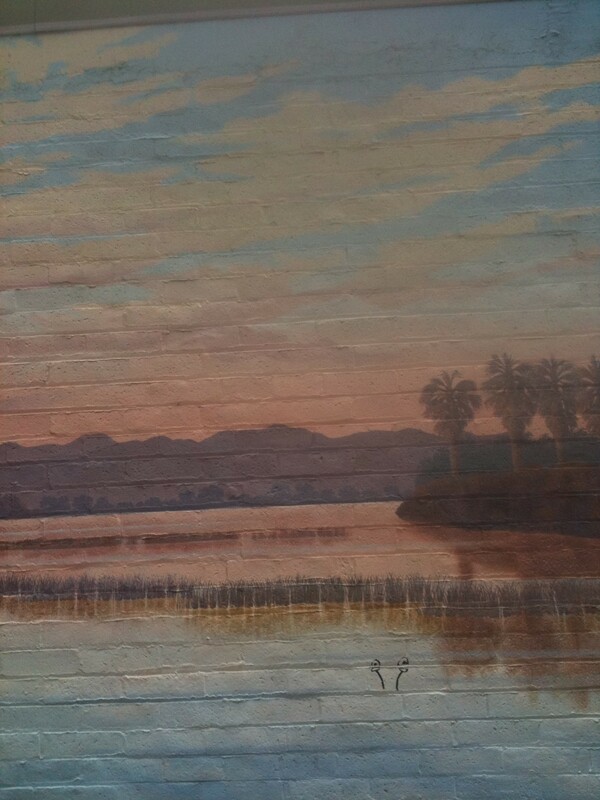 In addition to the panoramic sunsets like this mural, his also painted much of the nature, architecture and history of the Delta region. He collaborated with Charlie Soderquist to create the book “Sturgeon Tales, Stories of the Delta.” I was saddened to learn that Stanley suffered from mental illness and in 2006 he took his own life (7). You can read more about Stanley on his website: www.martystanley.com. 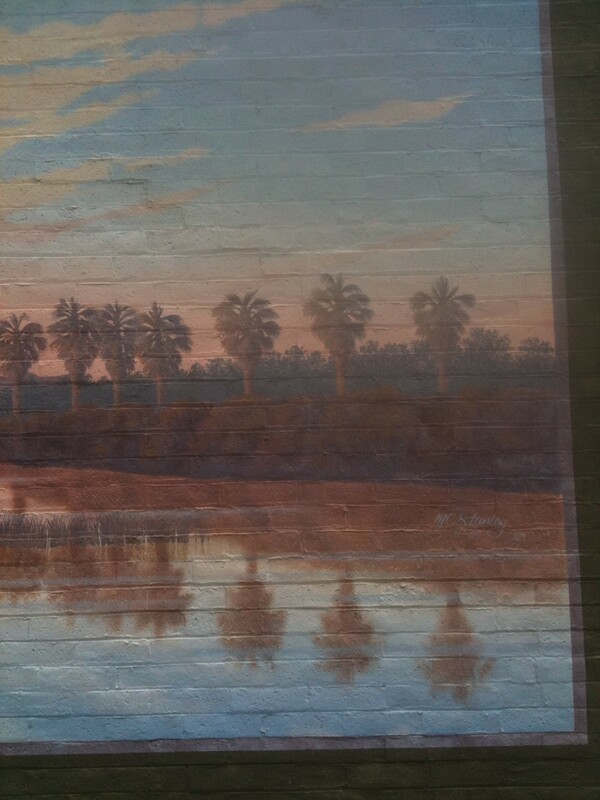 Two places are important in this story: the specific place the mural captures and the Delta as a whole, where Stanley spent his life. Stanley’s website quotes him describing the importance of growing up in the Delta to his work as an artist: “I believe it was part fate that my parents moved to Isleton when I was only three months old. I was meant to grow up here in the Delta” (8). 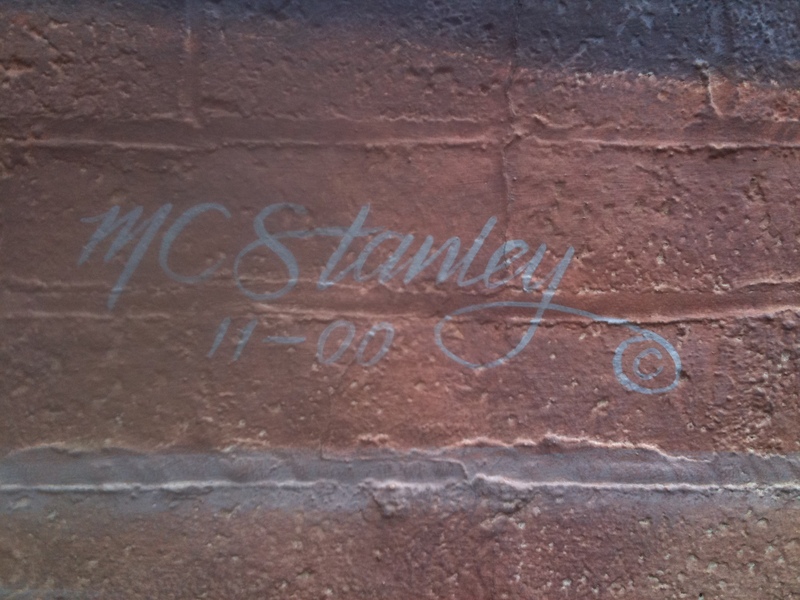 Stanley attributes much of his stimulation and growth as an artist to the small Delta towns in which he grew up. “Little did I know then, but that atmosphere was offering me the building blocks of my young, formulating mind. It was feeding the creative side of me. It nourished me — the people, shops and restaurants were really fascinating. It was all the fabric of my life, very rich and diverse” (9). 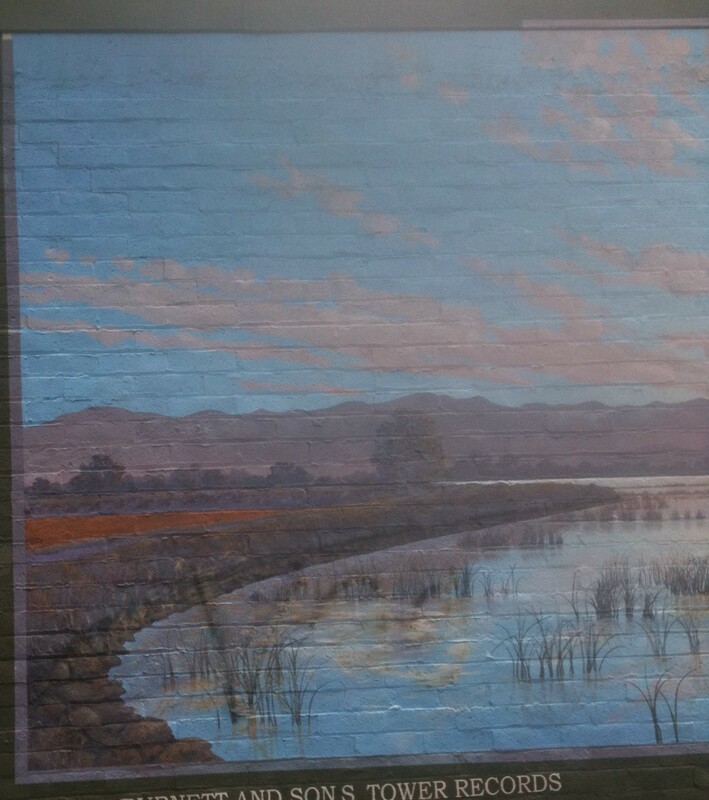 To capture the image of this mural, Stanely stood at the confluence of the Mokelumne and San Joaquin Rivers. The Mokelumne River watershed begins in the Sierra Nevadas just south of highway 88 and flows through Lodi until it meets the San Joaquin. The name Mokelumne is from the Plains Miwok peoples. 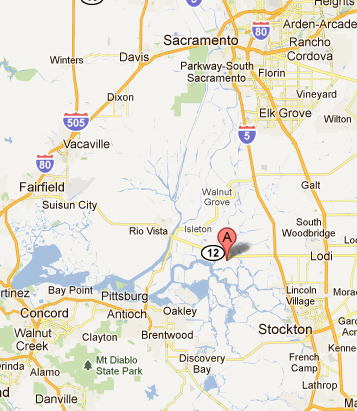 The San Joaquin River is over 365 miles long. The river starts in the high Sierras west of Fresno and releases into Suisun Bay near Pittsburg (10). The map below shows Bouldin Island at the “A” pointer which is near the confluence of the Mokelumne and San Joaquin Rivers. Mt. Diablo is in the lower-left area of the map to the south west of Bouldin Island, and Sacramento is near the top of the map to the north.